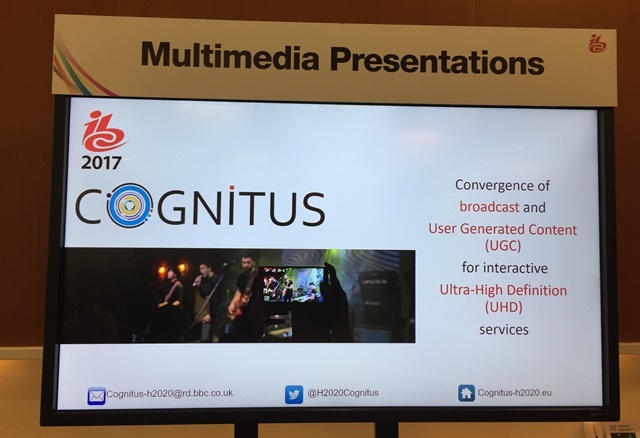 At the IBC2017 in Amsterdam the key COGNITUS objectives were to raise awareness of the challenges and opportunities i n the use of User Generated Content (UGC) in broadcasting, and show how COGNITUS enables that. The results of the recent use case trials at the Acropolis Basketball Tournament in Greece and the Edinburgh Festivals in the UK were used to provide insights into how COGNITUS provides means to gather, enhance, enrich, edit and distribute UGC. The main COGNITUS demonstration at the IBC was in the form of a Multi media presentation (MMP) in the Ruby Lounge. 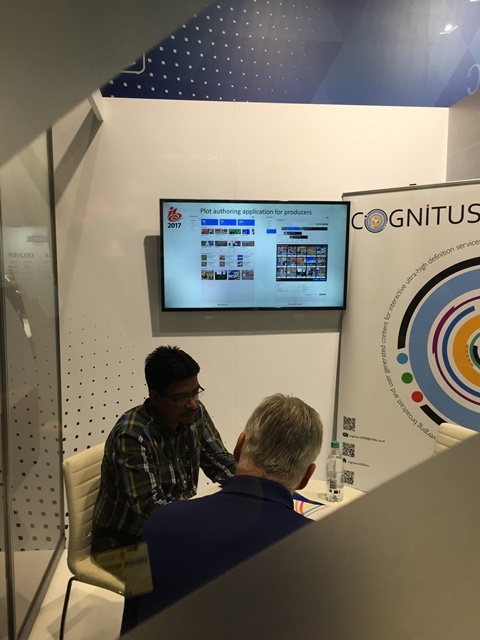 The attendees showed significant interest in the opportunities COGNITUS creates in creating new experiences to the audiences as well as the content contributors, who are increasing becoming the same. 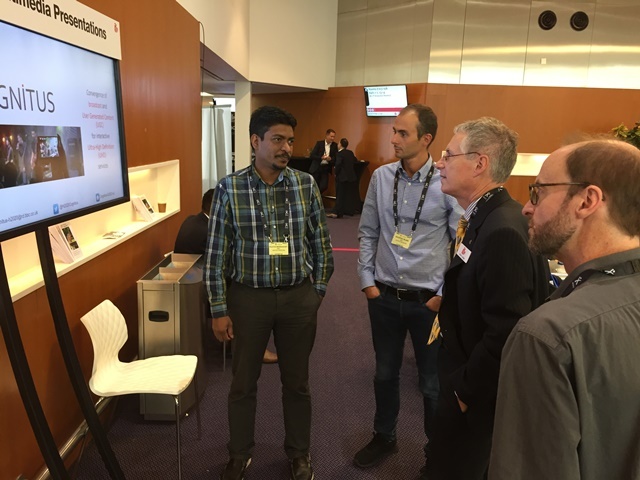 A number of extended discussions on COGNITUS technology and business models were also hosted at the project partner VITEC stand. The feedback will be incorporated in future technology developments in coming months. A larger scale COGNITUS demo of the COGNITUS technology and use cases is expected next year at the IBC2018 ! !.